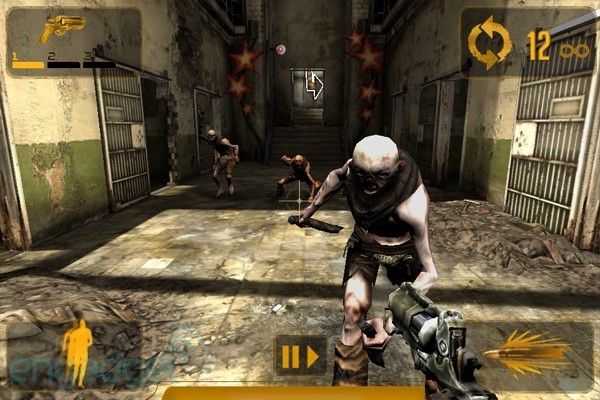 There are plenty of Nazis and zombies (even Nazi zombies) to blast on handheld Apple devices. 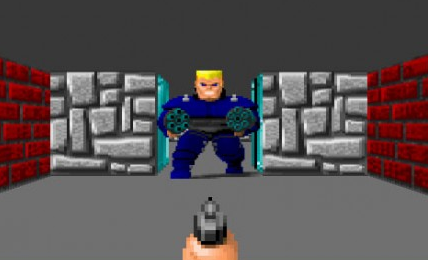 That said, let's count down the top ten first person shooters you can play right now. 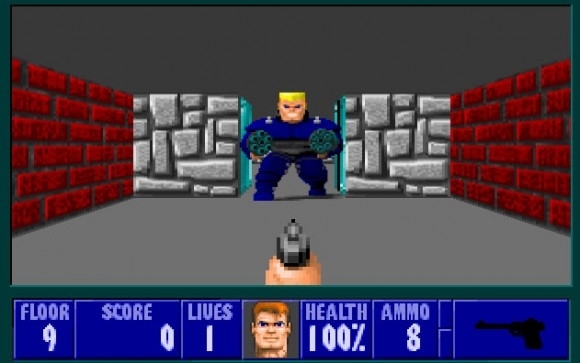 The 90's first person shooter that helped launch the genre is reborn in this faithful port. For $4.99, you get your choice of three control schemes (stick with traditional), along with great visuals and sound straight from the original game. Make sure you turn the difficulty all the way up and grab yourself a BFG. 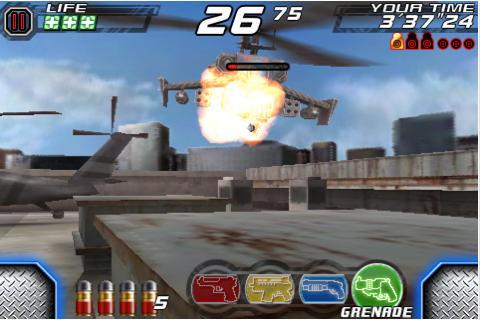 Though a bit costly compared to other games on the market (it'll run you $8.99 for the whole shebang), Time Crisis faithfully recreates the action of the arcade games - including cover/reloading tactics - while providing an arsenal of weapons and exciting scenarios. 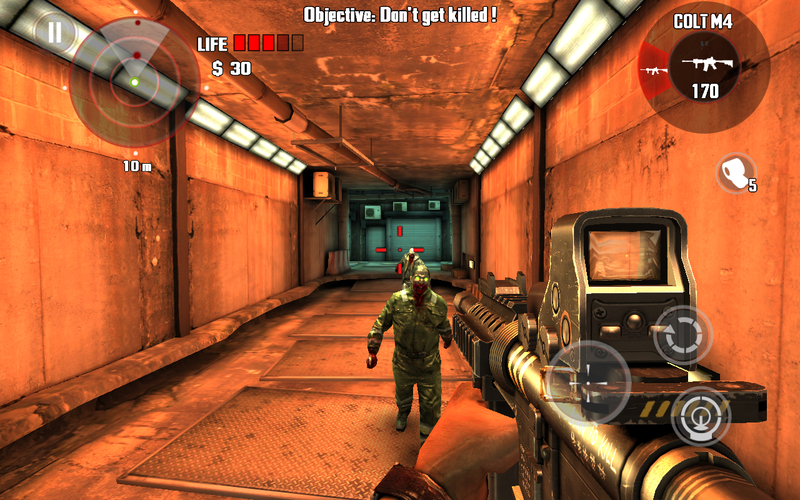 Though shorter than most of your average FPS fare, Rage HD continues to be a visual highlight for higher-end iPad and iPhone devices. With three stages chock full of dangerous enemies and tricky target shooting, Rage also packs a punch with its visual splendor and additional Mutant Bash TV challenges. Step on up. There's nothing wrong with shooting zombies, provided you can bring friends along for the ride. This excellent port of the mode from Call of Duty: World At War is a little short on maps, but makes up for that with an overdose of head-splattering action. It's also fun to unlock all the weapons and areas as well. Dibs on the shotgun. If you're a little tight on cash, you can take part in the first person shooting thrills of Craneballs' visceral blast fest. 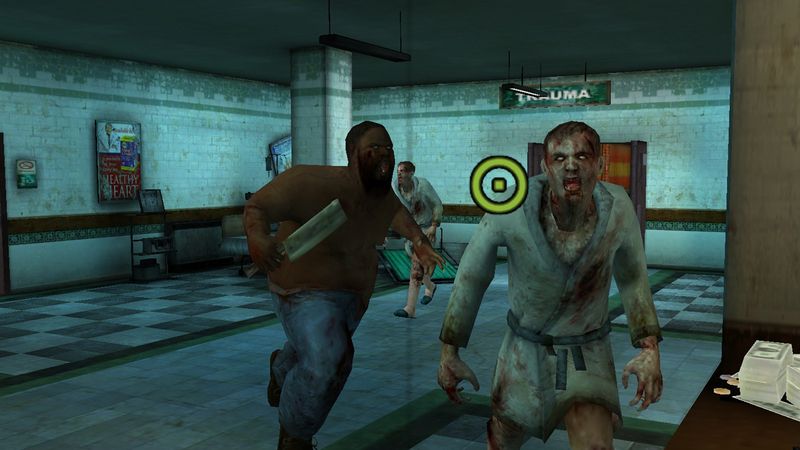 Though the graphics take a hit from time to time, the controls are excellent, and being able to take part in the challenging survival mode and its weekly tournaments make this worth downloading. 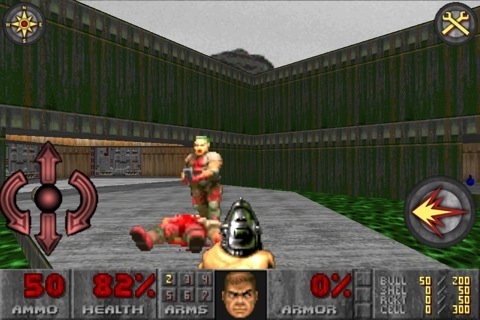 This is the third id Software game on the list, and we've saved the best for last. 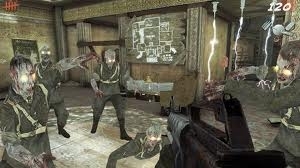 Wolfenstein recreates all the old-school madness of the original game with controls that work like a charm and no shortage of hidden secrets to find. Plus, who can deny the grand confrontation against Mecha-Hitler? Certainly not us. 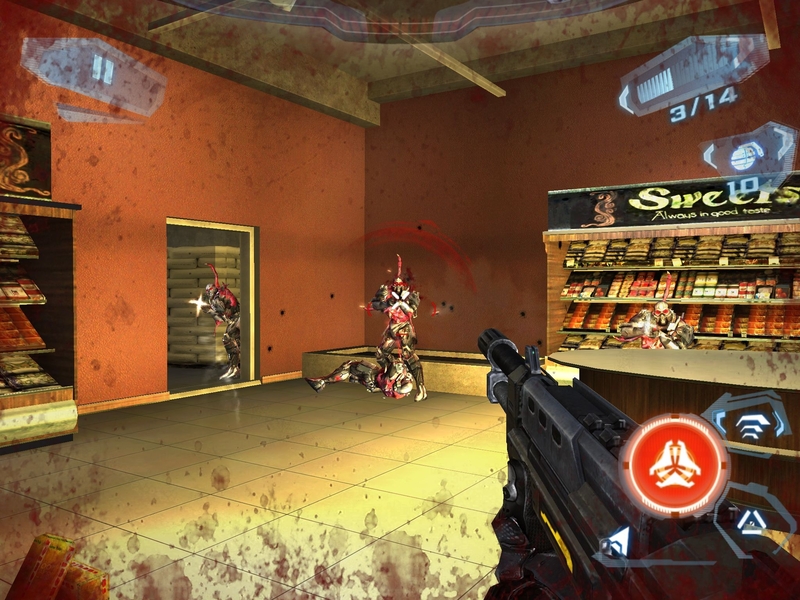 While not as feature packed as the console version, Overkill manages to bring most of its style to the iOS front - along with heavy amounts of gore. Various control options are available (including an unlockable touch option), and the vast supply of weapons and secrets will keep you coming back for more. 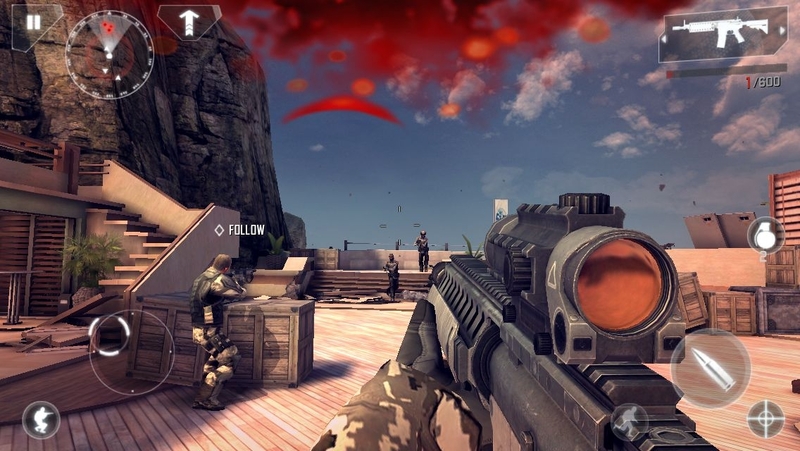 Do it for G.
If Call of Duty and Battlefield 3 are champions of first person shooting on consoles, then Modern Combat easily holds court on the mobile front. The latest release in the series, Zero Hour, has abundant action to go around, along with superb graphics, sound and multiplayer goodness. On top of that, you can choose from over 20,000 weapon arrangements, adding heavily to the replay value. Speaking of powerhouses from Gameloft, N.O.V.A. 3 has its own share of captivating first-person shooting action. It's more of a futuristic type shooter, along the lines of Halo, but with original weapons and vehicles you can use throughout. It also comes with strongly supported multiplayer and voice chat, making it one of the best FPS games you can get your hands on. How did Dead Trigger manage to beat the two best offerings from Gameloft? Easy. 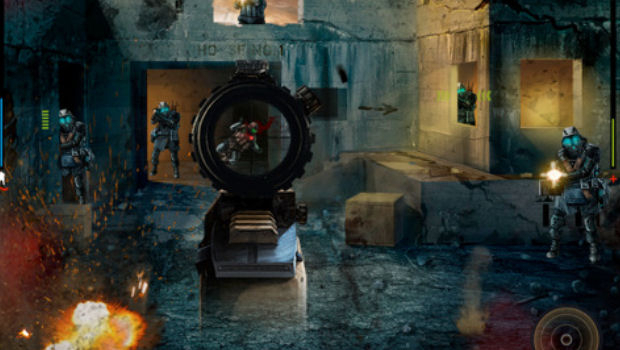 Number one, shooting zombies doesn't feel any more liberating than it does in Dead Trigger. Number two, there are over 20 different weapons available, and they're all a blast to use. Number three, the graphics look great on newer iOS devices (as well as old ones). Number four, there's a ton to unlock as you go through each wave. Finally, and most importantly, it's free. Have fun.